Try to imagine what it would feel like if one of your fist's was possessed by demonic forces, and now you had to set out and explore the whole wide world. OK. You got that, pal? Good. Now stop messing about, and read this amazing interview I did with my pal, Gary, whilst imagining what it would be like to imagine imagining. 1) What are your own origins, Gary? Plus what path did you take in life prior to getting to where you are today? I grew up in Seaside, New Jersey. My parents owned rides on the boardwalk there, so I grew up almost like carnie-folk. It was a great experience because I got to meet a lot of different people from totally different backgrounds. Many of which ended up as inspiration for some of the characters in Demon Fist. I've been drawing my whole life, and currently work as a graphic designer. I first got into comics when I was in third grade and got my first Spiderman comic. From there, it was a non stop love affair with any comics I could get my hands on. I knew I wanted to do my own eventually, and finally in 2009 I started Demon Fist. 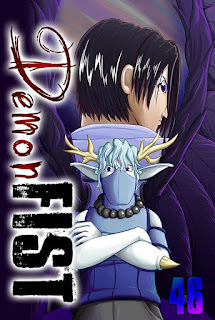 2) How did ‘Demon Fist’ come about? It’s ‘secret origin’ so to speak. I was working in a department store that sold novelties and one day we got in this white bandana with yin-yang signs on it. I wrapped it around my hand just from being bored at work, and thought, "what if this wrap was all that kept my hand from exploding?". Weird, I know, but that started the whole thing. I kind of sat on it for a while after that, but it kept growing and growing in my head. Eventually the story started getting so big I had to start it. So, after taken way too much time in my opinion, I started putting the pen to paper and after a pretty bumpy first start, it has been going from there. 3) In your own words how would you describe this story? 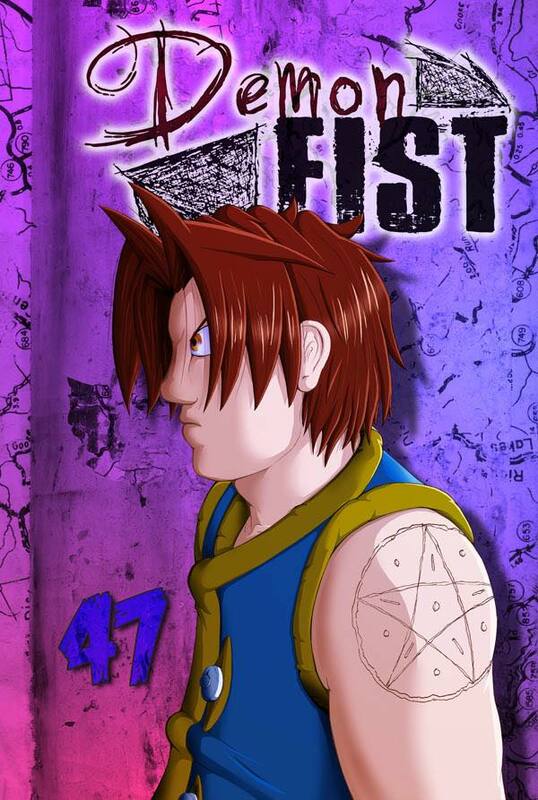 At its simplest form, 'Demon Fist' is the story of a young man named Rory overcoming the hardships of his troubled life and going on a journey to find the truth and to ultimately find himself. But that simple notion leads him into a much larger world of faith and power and the effects it has on the people involved. More specifically, the news that Rory's childhood friend might be alive prompts Rory to embark on a journey that he won't back down from; he's even willing to thoughtlessly face off against the strongest power on the earth, the governing church, but at what cost? To complicate things further, this is a world where demons & angels are commonplace alongside humans, and the lines separating them are beginning to blur. Rory himself falls under this category, as his left arm is home to three demons and a large portion of a fourth, making him a target for the Church, who fights to capture and control any instance of these “hybrids”. Rory may not be the direct cause of how this world changes, but he is the catalyst that sets events in motion that ultimately will change everything. So I can easily say that in a world ruled by faith and fear, one man will bring it all down. "You and me we're gonna be alright. We're gonna shake the crowd. We're gonna touch the sky". 5) If you could get a celebrity – either living or dead – to promote your wares, who would you choose, and why would you want to choose this particular person? Honestly, I have never thought about this. So as far as who I would find most fitting, I am at a loss. Therefore, I guess I would have to go with someone that would just be fun to work with. 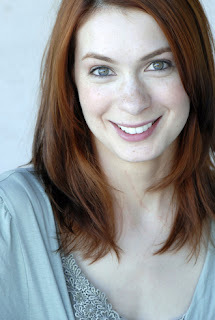 So I would choose either Kevin Smith or Felicia Day. They're both very funny people, and I feel would be great to work with to make some hysterical promotional material. Plus they both know what it's like to take something very personal and market it to the world. 6) What have you learnt about yourself through this endeavor? And were their any unforeseen obstacles you had to contend with along the way? I learned that I love to discover new ways of creating. Whether that be how to get the printed editions done, making the website better, learning new drawing techniques, or anything that improves the comic, there is always a new way of comic creating just around the corner. Over the years, I have tried to make Demon Fist more efficient in producing pages. Working a full time job leaves little time to keep the schedule of pages I would like to release, so anything that makes the process more efficient without losing quality is very important for me right now. There will always be obstacles, the trick is to find a way to get around or push through them. Like right now for instance, I have gotten to a point in the story where it is less about introductions and more about plot and character building. Now its more important to think ahead and not write myself into a corner. I have already had to rewrite a few scenes because they don't gel with the overarching story or my ideas for a particular characters development. Its a juggling act that's as challenging as it is fun. 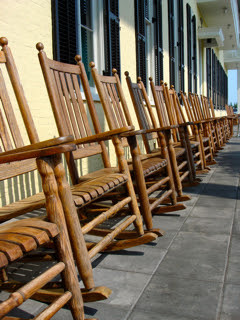 7) During your time in this field, what is the one thing that has kept you in good stead? I love to hear from the fans. There's a bunch of people on the site that are always talking about what just happened or trying to guess what's going to happen next. It's one of my strongest motivators to keep putting out more chapters. At some of the conventions I have had a table at, I got to meet a few of the fans in person. 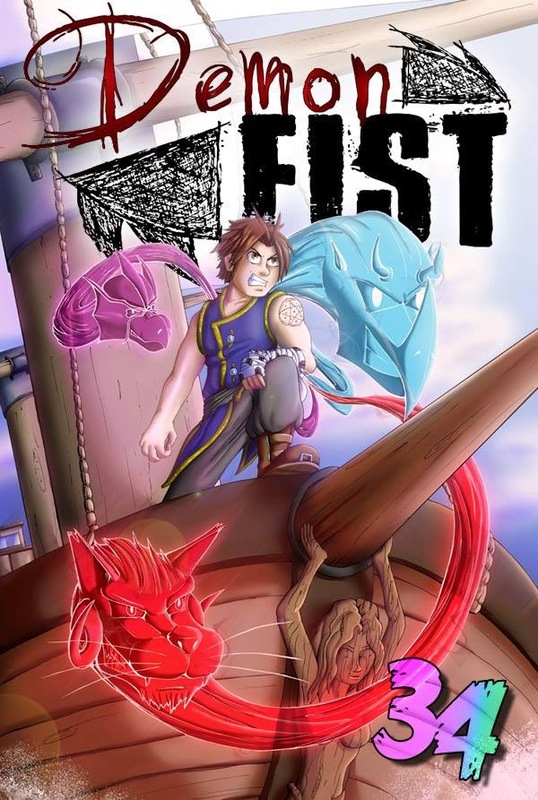 It was really awesome to see people as excited to read 'Demon Fist' as I am to make it. 8) If ‘DF’ had a motto, what would it be? "Shut up, Shaise!" seems to come up a lot. But a more serious answer would probably be "With the right amount of purpose, even the tiniest crack can make a castle fall". So there you have it, pals. My mate Gary and his great comic book, 'Demon Fist'. When you have the time please feel free to pay him a visit by clicking on over to his website and facebook page. Trust me. It's a jolly good read.